Dr Marlene Kanga is soon to take the reins of the world’s largest engineering association, and she is intent on making sure engineers are heard loud and clear when it comes to building the global future. Engineers will provide the solutions to climate change, sustainable development, the building of new cities, transport, and infrastructure and communication technologies, says Dr Marlene Kanga. So it is important that the voice of engineers is heard not just within the profession, but by politicians, lawyers and bankers at the highest level. In December 2017, Kanga took on the role of President of the World Federation of Engineering Organisations (WFEO), and she is excited about the prospect of being a strong voice for the profession at the international level with bodies such as the United Nations and the World Bank. “It’s important for WFEO to have a voice there,” she said, pointing to the COP21 meeting in Paris last year which negotiated the United Nations agreement on climate change. Kanga says the WFEO has already had a few successes, citing the recent implementation of the ISO 37000 international standards on anti-bribery, the development of which was led by the WFEO Committee for Anti-Corruption. “WFEO will be providing training and engaging with aid agencies, in particular to include accreditation to this standard as a prerequisite for participating in international development projects,” Kanga said. Australia is sometimes considered a long way from anywhere, but that is probably based on an outdated notion that Europe and North America are the places where it all happens. Kanga believes Australia’s proximity to Asia is now seen as a huge plus. “In Europe and the United States, they see the juxtaposition of Australia with Asia as a natural fit,” she said. She is also pleased that when she stood for President, every Asian nation voted for her. Not only is Australia realising that its place is in Asia, but Asia is coming to the same conclusion. 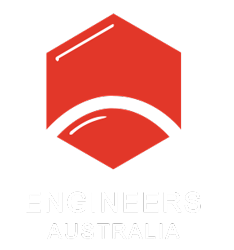 “As Chair of the Engineers Australia International Committee, I had the objective to make the international aspects of Engineers Australia’s activities very strategic and to leverage that for the benefit of Australian engineers in Australia,” Kanga said. And not only are we about to get an Australian President of the WFEO, in November 2019, Australia will play host to the World Engineers Convention. Kanga described the event as the “Olympics of engineering” and says it will be significant, not just because it is coming to Australia for the first time and will be presided over by an Australian president of the WFEO, but because it coincides with the centenary of Engineers Australia. This provides an opportunity to tell the world about Australia’s contribution to engineering, such as the bionic ear, the blackbox flight recorder and wifi. “The logo of the convention highlights the invention of wifi in Australia,” she said. Kanga said informing non-engineers about the contribution that engineers make to society and the economy will be another focus in her presidency. “Engineers don’t talk about our achievements enough. We really need to make the connection between society and the impact on society and the economy and the work that engineers do,” Kanga said. Innovation is particularly important to Kanga. On a personal level, her company, which developed automated video analytics software, holds more than 40 patents. She is also Chair of the Department of Industry’s R&D Tax Incentive program, the largest industry support program in Australia. “Engineering is all about innovation,” she said. She also notes that in China and other Asian countries, engineers are more prominent in political leadership and this provides both an insight into the way these countries approach problem solving and an opportunity for the profession to engage more. “Engineers have a certain way of doing things. We’re very systematic in our approach,” she said. Kanga said the way the world works compared with 2015 or even 2005 is very different because of the technologies that have come into play. “These technologies are being driven by scientists and engineers,” she said. Kanga will be just the second Australian to become president of the WFEO after Barry Grear in 2007-09. More surprising is that she will be just the second woman to take the role after Maria Laffargue in 2009-11. She says it is important for the profession to elect more women to positions such as this, as it helps provide role models for younger women in engineering. “I was actually fortunate enough to be present at the meeting where Maria Laffargue got elected. For me, that was something quite amazing and inspirational,” she said.